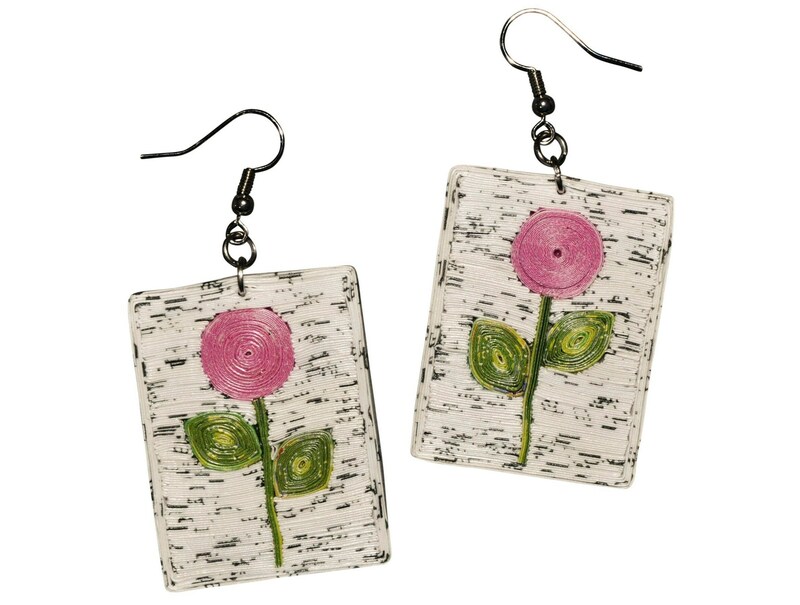 Rectangle / flower shape paper earrings. Hand crafted from thin strips of folded magazine paper, gently constructed together to form this amazing piece of jewelry. Very light in weight, and lacquered for protection.